For most, Tumblr is a safe haven, a place where fandoms clash with quirky humor and fanfics rule the land. Yet existing alongside Sherlock-Dr.Who mashups is a darker side of Tumblr. 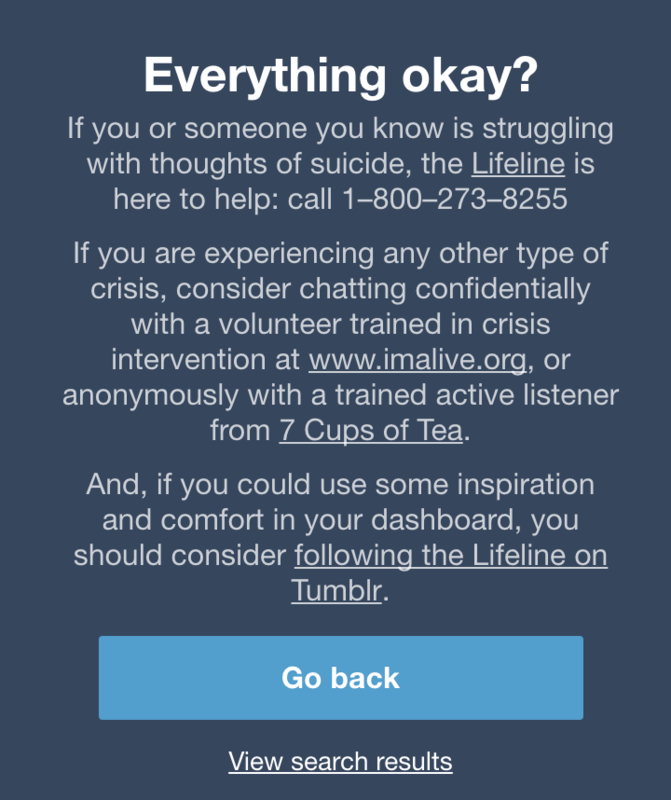 It is this side of Tumblr that prides itself on being a community of mental health support. Yet, it was there that I found others feeling lost and upset like me. It was there that these blogs and personalities introduced me to self-harm. And it was there that I found inspiration to continue harming myself for another four years, thinking all the while that my addiction to a razor blade was normal. As a young girl, struggling to understand my emotions, it was blogs with posts like these that allowed me to feel like I wasn’t alone. They showed me that the “darkness” I found myself shrouded in was my friend, and that it was OK to continue harming myself, despite promises made not to. In a very confusing manner, many of these blogs also appeared to offer help and support to their followers through anonymous messages, yet continued to encourage harm through their posts. 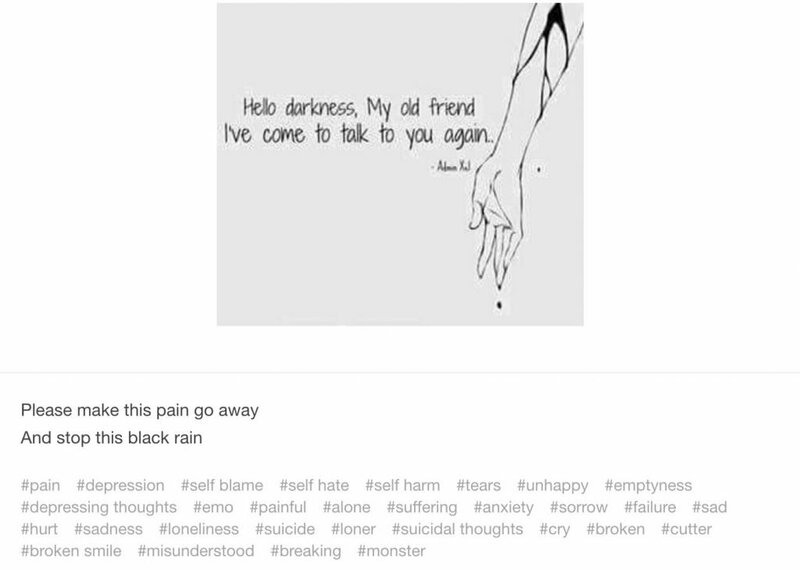 One particular blog offered to listen and support an anonymous user who needed “someone to talk to,” while simultaneously posting pictures of girls cutting themselves. To make it worse, it seems that this duality of offering help but promoting unhealthy habits didn’t end end at posts about depression and self-harm. 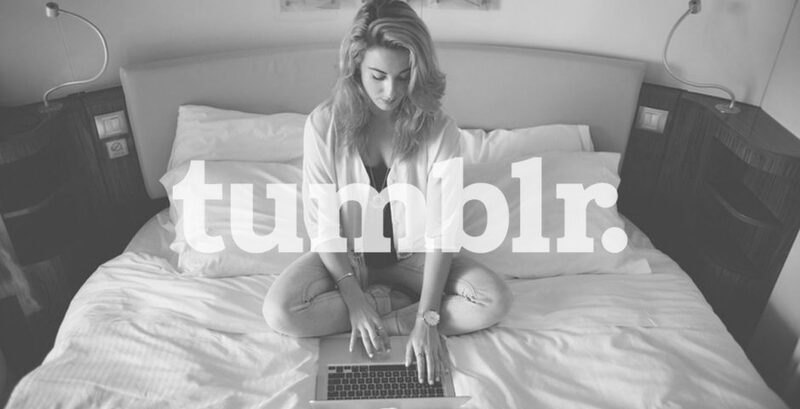 I spoke to girls whose eating disorders were severely magnified on Tumblr. 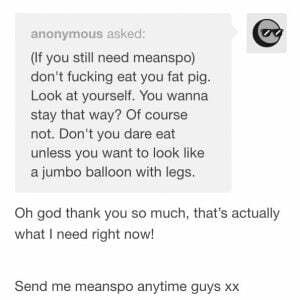 Alongside the unnaturally skinny women of the thinspo, pro-anorexia blogs, lies the most toxic side of Tumblr, entirely dedicated to “Meanspo,” the practice of posting mean, hurtful messages outwardly encouraging starvation. Blogs like these claim they are supportive, but rather being supportive of one’s health, they support and encourage toxic practices. Why are we letting young women be exposed anonymous, harmful, misguided advice in the name of support? Since when has anonymous Tumblr messages replaced a professional, trained therapist? In a final attempt to understand this toxic community, I reached out to the owners of some of these blogs, asking why they posted what they did, and if they were aware of the damage it caused. One pro-anorexia blogger, going by the name of vulpixphoebe, told me “I hate how big this community is getting, and it is very damaging, specifically for young girls. I know that what I’m doing is wrong,” but insisted that Tumblr was where she sought out to express herself and find support, no matter the effects it had on her followers. The mental illness blogging side of Tumblr is nothing short of a viscous cycle. Emotionally confused young women search out answers and support only to find bloggers who claim to know how they feel, yet, whether intentionally or not, promote self-harm and starvation. In turn, these young women get roped into this addictive, two-faced community, creating blogs of their own, mimicking those which inspired their unhealthy habits to begin with. While Tumblr can surely be a place of self-expression, we must draw the line at glorification of mental illness. Anonymous messages in online communities cannot stand to replace face-to-face communication about topics as grave as mental health. Blogs that do so hurt both the owner of the blog and their followers, perpetuating the illusion that suffering and self-harm are to be admired and that finding a community of people with similar ailments is the same as finding a cure.